What changes are afoot in the pharma industry? How do patients and doctors feel about pharma? How will big data transform healthcare? 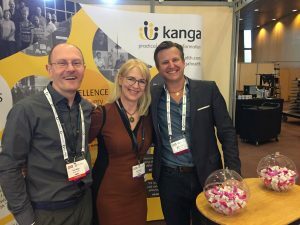 Three of the Kanga team attended eyeforpharma this year. We met patient experts and doctors who gave us their views. We saw great presentations on pioneering programs and the ‘insider view’ on pharma’s transformation, as well as refreshing perspectives from other industries. We had insightful conversations at the Kanga stand and were inspired by many of our co-finalists at the awards presentations. Check out our 10 key takeaways from Kay’s latest blog post.